Our lead engineer and co-founder is an Ex-Hobart area manager who specilises in fault analysis and disgnosis around the Hobart programming system. Fully trained at Hobarts UK head quarters and with 10 years experience in their equipment he prides himself in an extremely high first time fix rate. All our engineers are then trained in house and have access to all Hobart service data to enable a speedy repair and we currently hold around £40,000 worth of hobart spare parts. We take our work and your safety very seriously and our engineers belong to a mulitude of governing bodies representing their unique and valuable skill sets. 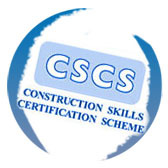 With health & safety at the forefront and all our engineers and directors hold a valid CSCS H&S certification/Card. CRB - If we are required to send sepcific staff members into areas with vunerable people or children then full back ground checks can be run and presented annually at your request. Be Proud - We are! by Working to the highest standards and with continual training and assessment we are the best!